Join me this Sunday, September 10th at 9 pm EST via Facebook Live on my Creating Family Archives group page. If you're not already a member, come join the fun! In this session, we'll focus exclusively on one of my favorite things--photographs! 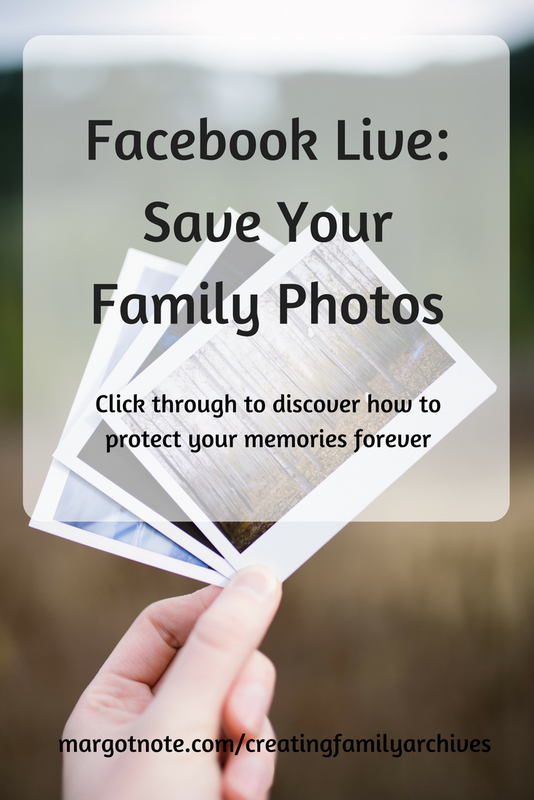 Photographs are the treasures of any family history collection. They allow us to see firsthand the same eyes or smiles we inherited from our forbearers. 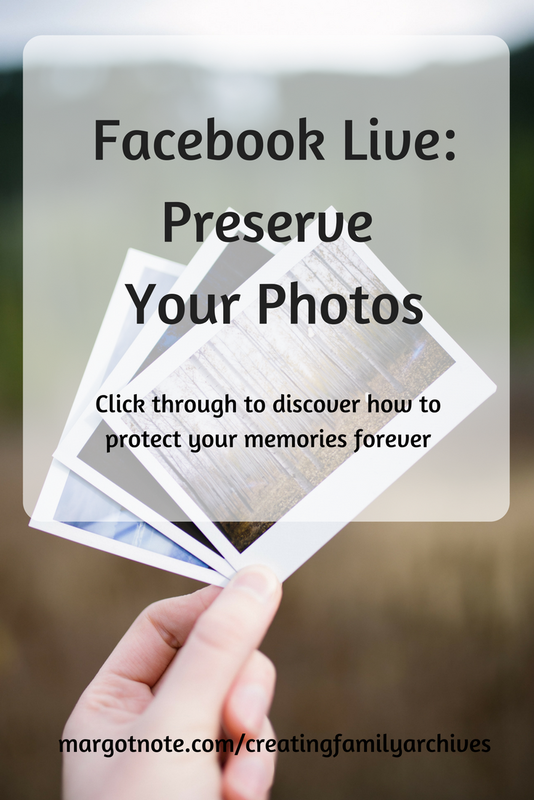 Preserving your photos for the next generation is well worth the time you invest in the effort.